Two Master's Touch (the hobby Lobby brand) and one Strathmore toned sketchbook. Presently to be had for 40% off without coupon at Hobby Lobby. The highest price is on the 9x12 master's touch on the bottom. It is white, 80lbs, and spiral bound. It holds up well to light water color washes but is nice for colored pencil work. 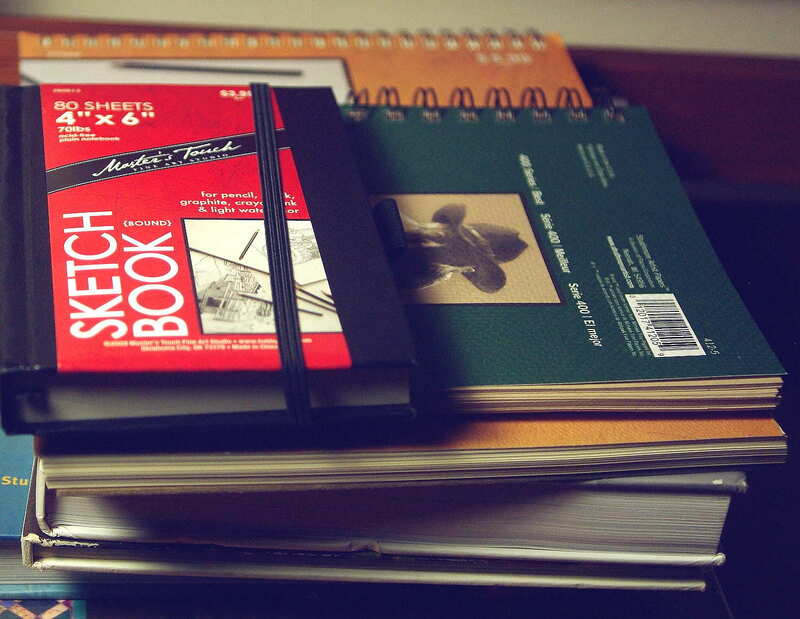 The small black notebook type sketchbook is 70lbs, and the toned, Strathmore is 80lbs. I've been experimenting with sketchbooks lately and have found that any paper weight below 70lbs just does not work for me. I'm not particularly brutal on my sketchbooks, but I've found that the paper rips easily at 60 pounds, even when one is only turning the page. It seems that 80lbs works best for me for field sketching, doodling, working out ideas, etc. 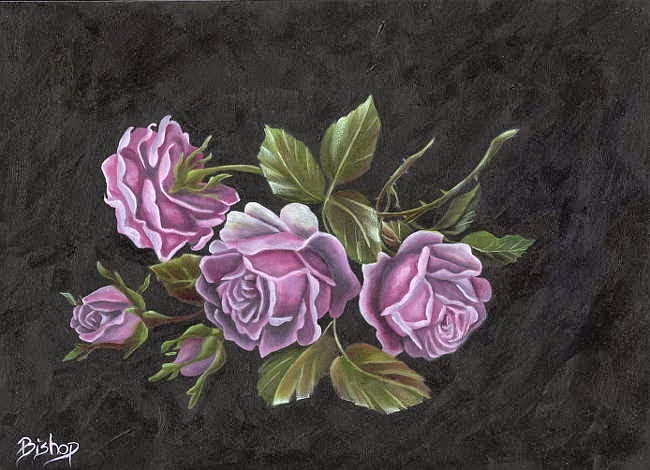 For more formal works in water colors a heavier weight paper is used, of course, and I prefer hot pressed to cold, but for light, inspirational work, these will work out well. The small, 4x6 book will be tucked into my purse and taken with me where ever I go. The white, 9x12 will be used to experiment with in regards to some ideas I have rattling around in my head, and the toned book is for fun. The 4x6 book was a bit of a disappointment. When I tore off the plastic wrap, I discovered that the book mark was glued to the binding under the cover. I had to cut it to remove it from it's mark- dead center in the book. Because of this flaw, the binding is being held on only by the front and back cover and not at all at the spine. I'm a bit of a purist when it comes to books and things such as loose spines are not to be borne. Usually that is unless one had already stood in line twice and decided a badly glued spine is ok just-this-once so that a third trip through the line can be avoided. What is your favorite sketch book? Contact me for more information on painting classes.